Pig In The Middle is a family run business specialising in making sausage rolls using free range pork with over 80% meat content. 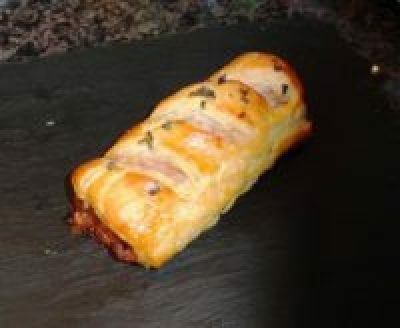 There are some fifteen varieties all wrapped in flakey pastry and a further range of vegetarian rolls. A second speciality are handmade Scotch Eggs using free range hen eggs and meat recipes similar to their sausage rolls. Available oven ready and frozen or chilled and cooked.